If you’ve been following me on instagram, you might have noticed some non-food photos sneaking in to my feed. I’ve been knitting. It wasn’t until I started knitting again (about a year ago) that I realized I had stopped. I’ve been a yarn and needle girl since childhood, was an avid knitter through high school and college making Fair Isle sweaters and big bulky reindeer sweaters that I wore skiing and horseback riding. I was never without a project. 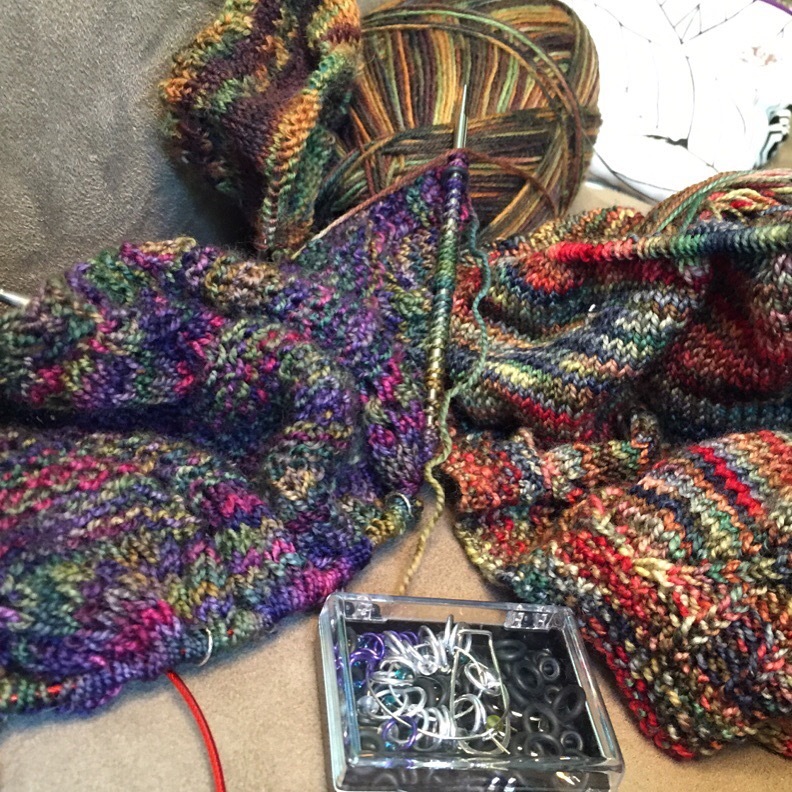 And then my mother – my favorite knitting pal – died, and I stopped. Just stopped. I didn’t even put all this together until I started knitting again, ten years later. I wish she were still alive because she wouldn’t believe what’s changed. The circular needles! Knitting “top-down”! Washable wools! Hand dyed yarns! In my mind, I talk to her about it all the time. When a friend asked me to teach her two 12 year old girls how to knit, together they learned to cast on, cast off, knit, purl, and then, how to make tiny hats for premie babies born at Sibley Memorial Hospital. It was fun. And as I’ve made a commitment to myself to volunteer in the community and spend time away from the screen, I’ve decided to start a knitting circle. In DC? 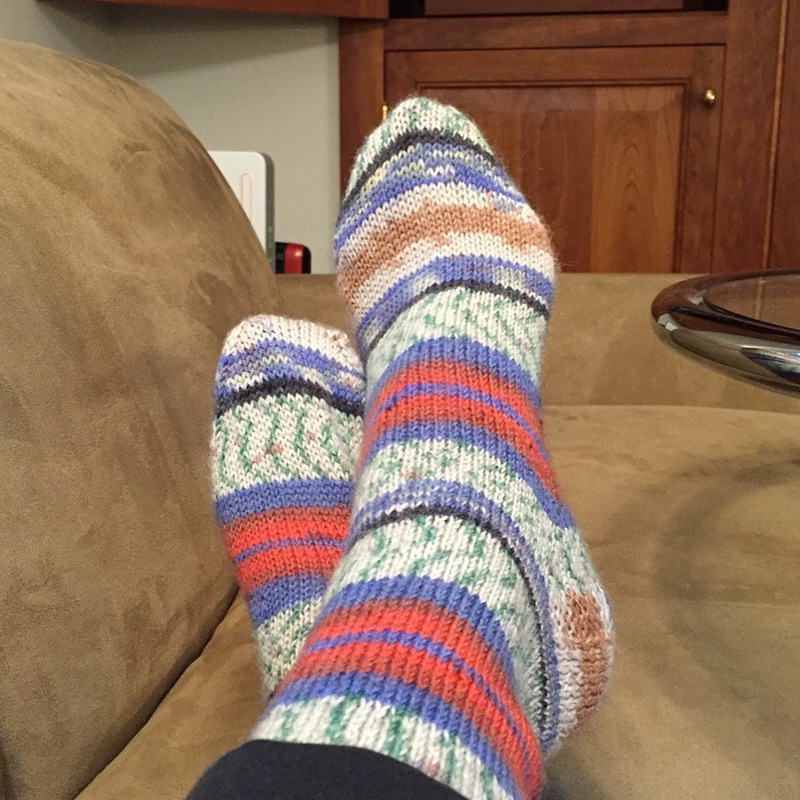 From June 15 until August 16, on Wednesday nights from 7-9pm, I’ll host a Knit Together at my upper NW home. I can accommodate up to 6 people (any age, but under 16 must be accompanied by a parent). Bring your projects if you’ve got ’em. We can admire, assist and appreciate each one. And if you have never knit, I’ll teach you how using materials I have on hand. I’m hoping knitters who participate will make premie hats or contribute acrylic yarn for more hats. If you’re interested in participating, send me an email via the contact form here on the blog or connect with me on Facebook. Select three Wednesday dates between 6/15 and 8/16 and I’ll let you know the details by return mail. I wished I lived closer…you are a great teacher! Thank you! Wish you were close by, too. 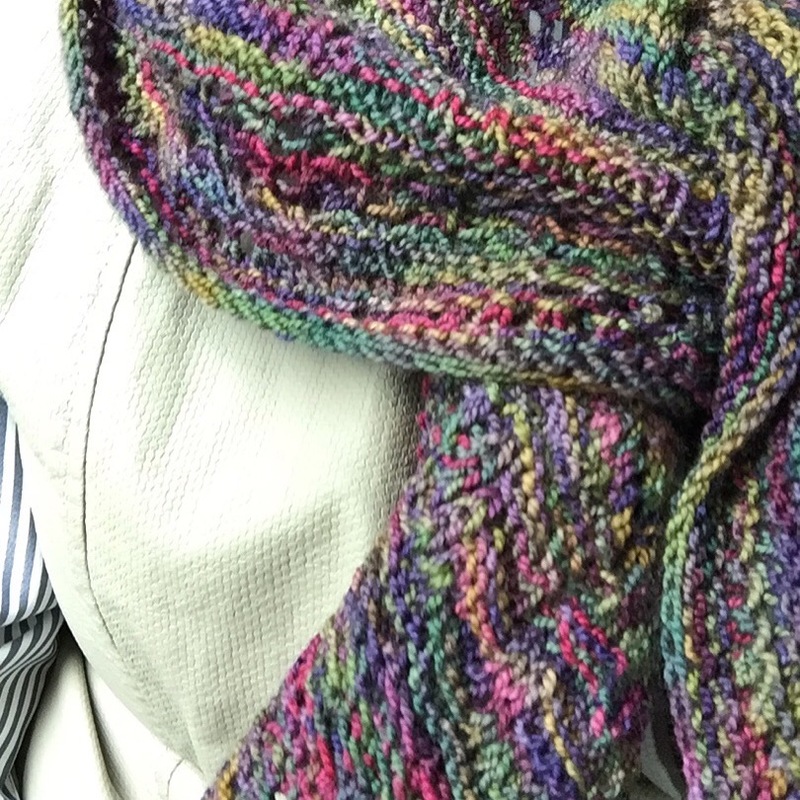 Can you tell us where those beautiful multi-colored yarns come from? Are they all from dragonfly fibers as one photo shows? The yarns are from various sources, but I frequent Looped Yarn Shop in Dupont Circle. I keep track of yarns and patterns on my Ravelry page. Look for MrsWheelbarrow there. Check out my projects and my (slightly embarassing) stash. 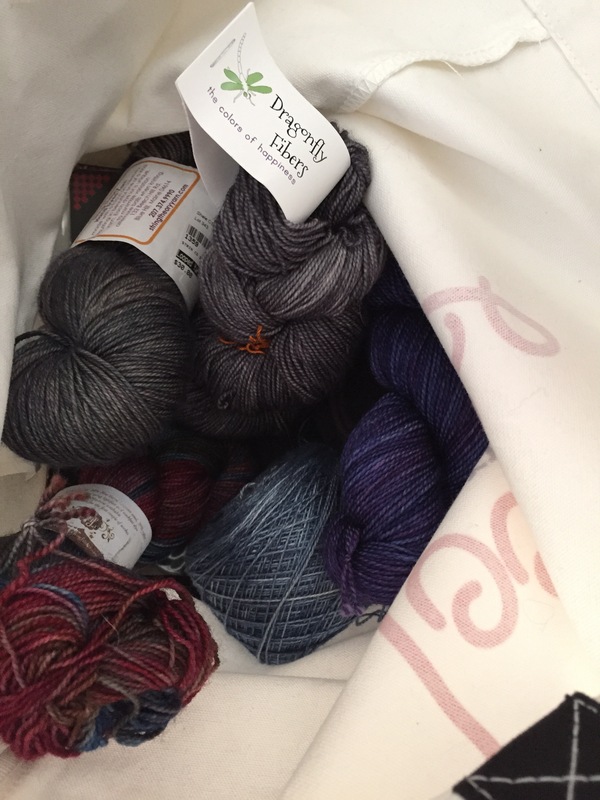 I love Madeline Tosh, Koigu, and Shibui yarns. They feel so good in the hand. I’m knitting with you from afar. Miss seeing you. I have been knitting since I was 5–although it sounds impossible, I have a memory of making Red Cross bandages with my mother during the Vietnam War. I would love to join your knitting circle, and have lots of yarn to donate. We’ve met at your pickling class at Norman’s farmstand–I should mention that you’ve totally changed my approach to food. Thanks! Janna, please send me an email (mrswheelbarrow AT gmail DOT com) so we can knit together. I’ll provide details in a return email. Wish we were neighbors,,,, I guess all of your readers wish this. We would have to rent a hall if we all showed up to knit with you. You know that I am not much of a group knitter but I sure wish I could come and hang out with you. Knitting sounds so lovely, but I don’t even know where you live! Over the weekend I preserved 40 jars of strawberry jam – I’m ready to sit for awhile! Just saw your post about the knitting circle thanks to Laura Kumin. I used to be a pretty good knitter back in the day. 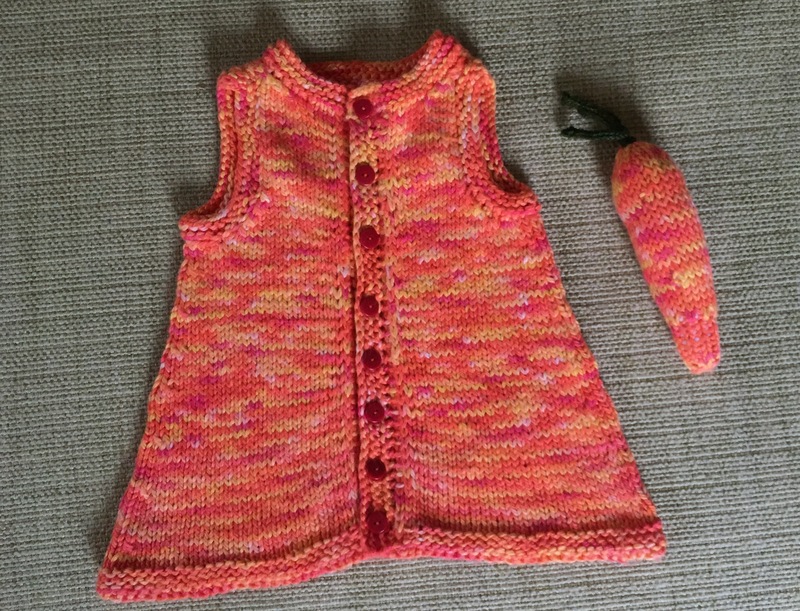 I started quite young and knitted alongside my mother and grandmother. I stopped so many years ago for what seemed like good reasons. I would love to be part of your circle and make hats for preemies. At the moment I don’t have any yarn although with your advice about what to purchase and where, I am happy to contribute. Also, I may be able to dredge up some old needles. Anyway, I can come three or perhaps more evenings if you end up needing more help. I’m available in June and July except for July 20.